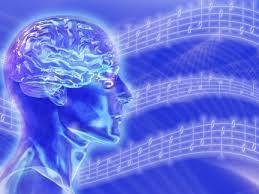 Part I How Music Impacts The Brain! We can usually pick if a piece of music is particularly happy or sad, but this isn’t just a subjective idea that comes from how it makes us feel. 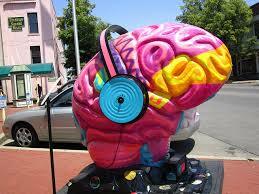 In fact, our brains actually respond differently to happy and sad music. Even short pieces of happy or sad music can affect us. When we hear a form of music we actually match the tone of the music with our mood or reaction to it. This means that sometimes we can understand the emotions of a piece of music without actually feeling them, which explains why some of us find listening to sad music to enjoyable, rather than depressing or sad to others. We all like to pump up the tunes when we’re powering through our to-do lists, right? But when it comes to creative work, loud music may not be the best option. It turns out that a moderate level of noises is the sweet level for creativity. Even more than low noise levels, ambient noise apparently gets our creative juices flowing, and doesn’t put us off the way high levels of noise does. The way this works is that moderate noise levels increase processing difficulty which promotes abstract processing, leading to higher creativity. In other words, when we struggle (just enough) to process things as we normally would, we resort to more creative approaches. In high noise levels, however, our creative thinking is impaired because we’re overwhelmed and struggle to process information efficiently. This is very similar to how temperature and lighting can affect our productivity, where paradoxically a slightly more crowded place can be beneficial. Soul fans have high self-esteem, are creative, outgoing, gentle, and at ease. Playing music expands our thinking. We generally assume that learning a musical instrument can be beneficial for kids, but it’s actually useful in more ways than we might expect. Studies have shown that children who had three years or more musical instrument training performed better than those who didn’t learn an instrument in auditory discrimination abilities and fine motor skills. Instrument playing is a form of exercise that is great for your health as opposed to sitting watching t.v. where no creativity or imagining or brain concentrating takes place. It seems that unfamiliar, or uninteresting, music is best for safe driving. Reason: Less Distracted. Research on the effects of music during exercise has been done for years. In 1911, an American researcher, Leonard Ayres, found that cyclists pedaled faster while listening to music than they did in silence. This happens because listening to music can drown out our brain’s cries of fatigue. As our body realizes we’re tired and wants to stop exercising, it sends signals to the brain to stop for a break. Listening to music competes for our brain’s attention, and can help us to override those signals of fatigue, though this is mostly beneficial for low- and moderate-intensity exercise. During high-intensity exercise, music isn’t as powerful at pulling our brain’s attention away from the pain of the workout. Not only can we push through the pain to exercise longer and harder when we listen to music, but it can actually help us to use our energy more efficiently. A 2012 study showed that cyclists who listened to music required 7% less oxygen to do the same work as those who cycled in silence. Some recent research has shown that there’s a ceiling effect on music at around 145 bpm, where anything higher doesn’t seem to add much motivation, so keep that in mind when choosing your workout playlist. “The kind of music one listens to determines one’s reaction to it. No genre is harmful, but there is a preferable choice in different situations. 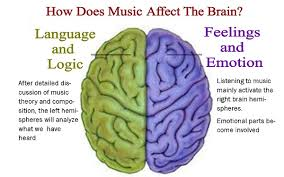 For instance, studies have found that percussion stimulates the left side of the brain, so if one were solving Mathematics problems, or having to reach a logical conclusion, that music would be beneficial. Similarly, for an artiste, instrumental music or Soul would work better,” explains Khurana.